Pictured above: Former patient, Christy Harrison (centre left) with the SABMR Search Team. There were all big smiles earlier this month, when former patient Christy Harrison and her husband visited the SABMR. It was the first time that she met face-to-face with the Search Coordination team that was responsible for finding her life-saving bone marrow donor in the United Kingdom. Christy recalled “I phoned my husband immediately after getting the news …. he ushered everyone out of the restaurant, closed shop, packed my bags and I was on my way to begin treatment. 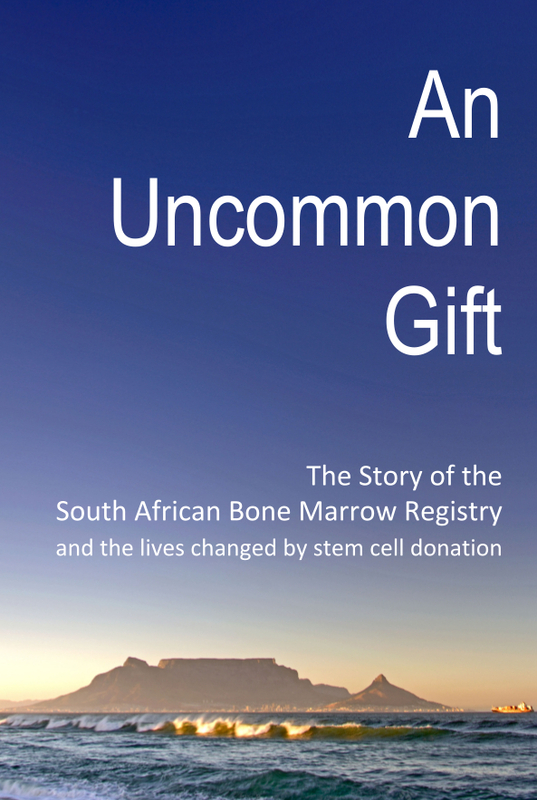 It wasn’t long before I was told that a bone marrow transplant was my only hope. My father took the reins and arranged for all our family members to be tested, first second and third cousins too. But there were no matches for me. It was then that we turned to the SABMR to help find me an un-related donor. While I spent days in the isolation ward, the staff at the SABMR searched tirelessly to find a suitably matched donor for me. Their search took them worldwide and they found a donor in the UK. Terry Schlaphoff (SABMR Deputy Director) explained that as with all stem cell donations, the SABMR are responsible for making the logistical arrangements to ensure that the cells are collected and reach the patient within a window period of just 36 hours. While Terry was traveling to the UK to collect the stem cells, Christy’s body was being conditioned to prepare her for receiving the health match. After collecting the stem cells, Terry travelled directly to the transplant centre where Christy’s doctors were waiting. And the rest, as they say, is history. Christy is now over one year post-transplant and is doing great!